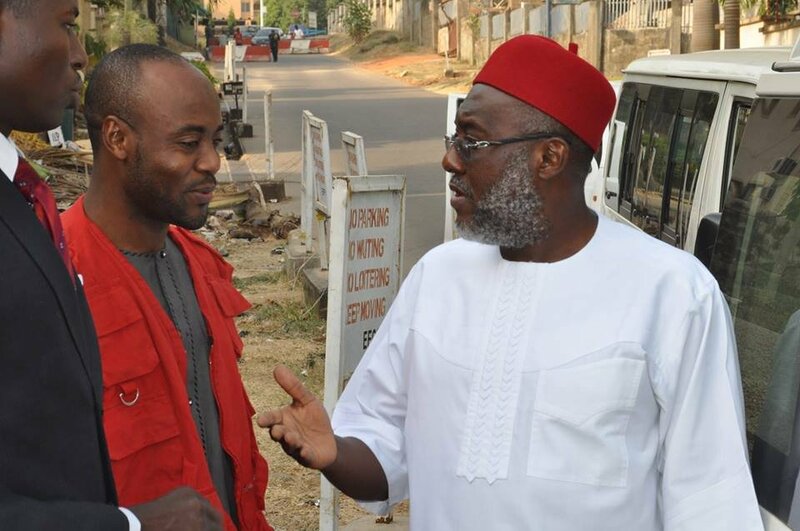 Metuh is standing trial alongside his company, Destra Investment Limited, on a 7-count charge bordering on money laundering to the tune of N400million, a sum he allegedly collected from the Office of the National Security Adviser, ONSA, ahead of the 2015 general election. He is being prosecuted by the Economic and Financial Crimes Commission, EFCC. Justice Okon Abang, had in March 2016, while ruling on Metuh’s no-case submission held that he “has a case to answer in the 7-count charge of fraud preferred against him and his company by the EFCC”. Dissatisfied, Metuh approached the Court of Appeal asking it to upturn the ruling of the trial court and stay further proceedings on the matter pending the determination of the interlocutory appeal. The Court of Appeal in May 2016 upheld by the ruling of the trial court and ordered Metuh to go and stand his trial. But still not done, Metuh proceeded to the Supreme Court seeking all legal means to halt the trial. In its ruling on Friday, a five-man panel of justices of the Supreme Court led by Justice Clara Ogunbiyi, which summary was read by Justice Ejembi Eko unanimously dismissed Metuh's application, giving the same reasons given by the lower court for its decision. The apex court affirmed the decision of the appellate court, which held that Metuh’s motion was incompetent as it failed to comply with constitutional provisions for the filing of such appeal. The court also held that Metuh was wrong to have brought the appeal without first seeking the leave of the lower court, or that of the Appeal Court.